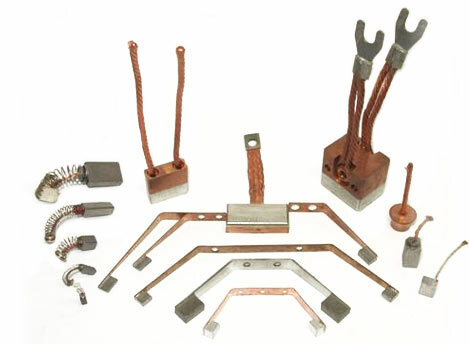 Contact Technologies manufactures specialty contacts and brushes that consist of fine silver and/or copper with graphite and other additives. These contacts are eminently suited for slip rings, commutators for low-voltage generators and motors, segmented rings, flat surface collectors, and instruments. CTI grades have been developed to provide low noise levels, low and stable resistance, low friction, high conductivity, and to give optimum performance from sea level to high altitude, including outer space. All grades can be processed for ready attachment to arms or springs, and CTI offers full facilities for attaching.